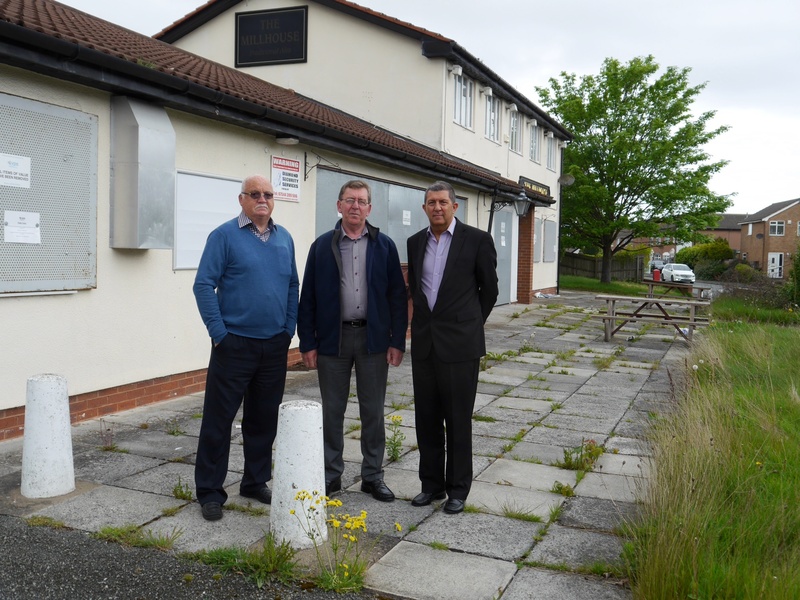 Yesterday, along with a local resident I attended Wirral’s Licensing Panel to speak in support of objections by local residents to the application made by The Royal Taste Takeaway in Pasture Road. At the licensing hearing, the applicant amended his application and requested to stay open until 1:30am on Fridays and Saturdays only, this was a huge reduction in his original application which requested permission to stay open until 2am and 3am all week. After hearing all the submissions, the Licensing Panel, which was made up of, two Liberal Democrats and one Labour Councillor granted the applicant permission to stay open until 1am Friday and Saturday. All other days the premises have to close no later than 11:30pm. The applicant was also told that his premises are subject to a planning condition which states that he must cease business at 11:30pm every night and until he has been granted planning permission he must not stay open after 11:30pm. This means that he must now apply for planning permission to vary that condition. This morning along with my colleague, Ian Lewis I met with representatives of Merseyrail in the car park at Leasowe Park and Ride, to look at issues around flooding and the marking of the parking bays. The meeting was arranged because users of the car park were being issued with fixed penalty notices for not parking in the designated bays, problem was the bay markings in many places were non existent. Merseyrail have agreed to have the area in the car park that floods dealt with, and have agreed to repaint all the parking bays. Out and about In Saughall Massie! Tonight I was out with the team knocking on doors on the Kingfisher Estate. People were delighted to see us and many issues were raised, however by far the biggest issues were the speed and volume of traffic on Saughall Massie Road, and in particular the difficulty motorists faced trying to get out of Kingfisher Way at the peak time in the morning, and anti-social behaviour caused by a small minority of irresponsible individuals. I will be dealing with all the issues first thing tomorrow. Thanks to all those people who opened their doors to us. If you were out when we called, simply complete the card we popped through your letterbox and send it back to us, alternatively leave your comment on the blog, or click here to email me. This much needed, and long awaited rail station is now formally, back on the table at Merseytravel. At today’s Rail Services Committee, Neil Scales, Chief Executive and Director General of Merseytravel told colleagues that he had received a letter from the Council’s Director of Technical Services, David Green. The letter confirmed that Wirral Council will pay for a footbridge over the Arrowe Brook, if this station is to be built. Merseytravel need this bridge, in order to enhance the case to build a new station. This news from Wirral Council, along with the possibility of some Objective One funding means that the new station is now a real possibility, this will be great news for residents, who have watched as stations have sprung up across Merseyside but there has been no sign of a new station serving the people living on the Millhouse and Lingham Estates, that is, until now. I will keep residents updated as this issue develops. WIRRAL COUNCIL has sacked the volunteers who delivered the ‘Meals on Wheels’ service for older people. Instead, a company in Lancashire is to provide the service, charging older people full price. Many pensioners in Moreton rely on the volunteers. It’s not just about having a meal delivered; it’s also about making a friend and keeping in touch. It seems the Council knows the price of everything but doesn’t understand the true value of this service. The Conservatives have ‘called in’ the decision made by the ruling Labour and Lib Dem administration, and a special meeting of the Ccouncil’s Social Care, Health and Inclusion Overview and Scrutiny Committee (OSC) will take place at Wallasey Town Hall, commencing at 6pm on Wednesday 20th February. The meeting is open to the public and if you have an interest in this matter I would urge you to attend. We hope that by challenging this issue and gathering evidence from witnesses that the OSC will reverse the Cabinet decision. We believe that the Cabinet decision to axe a 25-year link with the Women’s Royal Voluntary Service (WRVS) to provide ‘Meals on Wheels’ to 400 pensioners following a five minute discussion by Wirral Borough Council’s Cabinet is ill conceived. We also note that the decision has been made without any consultation with, or regard to the well being of the service’s users. The WRVS has for many years provided more than just a hot meal delivered to people’s doors, 365 days per year, they have also been a lifeline to many, and in some cases the WRVS volunteers are the only point of contact for some of the most needy people in our society. We believe this added value should have been quantified and considered prior to the Cabinet taking this decision. We note that the Council has received considerable additional resources from the Government over and above that expected and therefore believe that the decision made by Cabinet on 23rd January 2008 should be reversed, and that full open and transparent consultation takes place with service users, their families, the WRVS, and other relevant bodies. This consultation, when completed, should be reported to an early future meeting of the Social Care, Health and Inclusion Overview and Scrutiny Committee for them to make a recommendation to Cabinet. Residents who live close to this site have, for many years had to put up with noise and dust nuisance from the Concrete Works, which is situated very close to their homes. Over the last few months residents have endured early morning noise nuisance, sometimes as early as 5am, and have complained to both the Council’s Planning and Environmental Health Departments. Along with local residents, I do not believe that there is any justification for the site to be operating at such unneighbourly times and I have requested that the Council refuse this application.